Proudly announcing the celebration of 50th Anniversary. 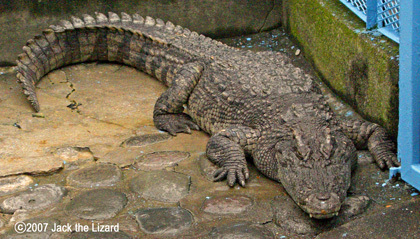 Atagawa Tropical & Alligator Garden opened to exhibit crocodiles and tropical plants in 1958. The local area, Atagawa, has natural hot springs, which is warming up the water, air and soil. That's why, this place is so tropical! 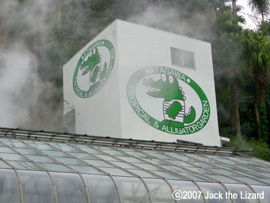 The first artificial incubation of crocodile in Japan was succeeded by this garden in 1968. 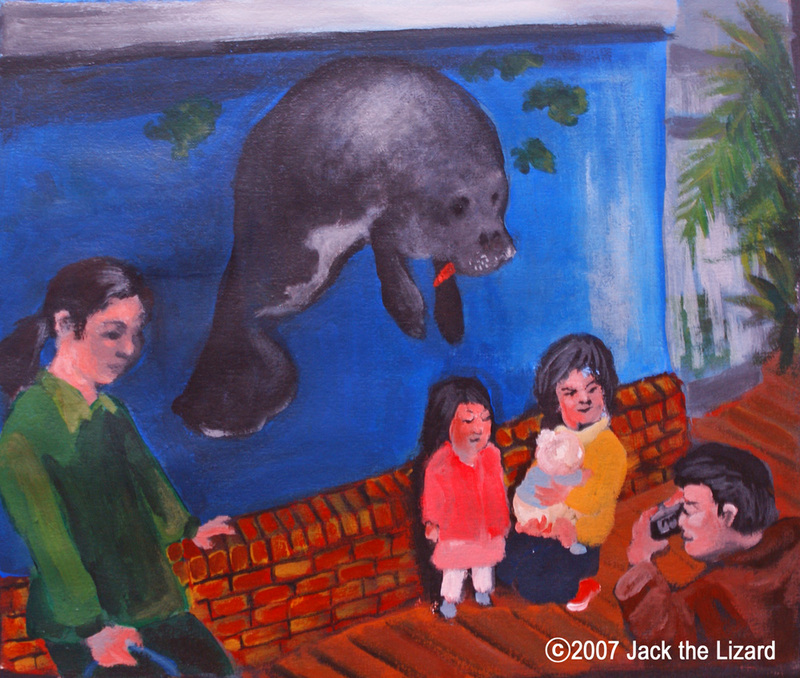 Since the Garden opened, it has welcomed not only crocodiles but also the Western Red Pandas, and the Amazon Manatee. You cannot find any other interesting large reptile collection like this. Crock here, crock there. They look all different. Look at my long legs. 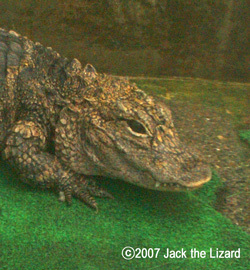 The Freshwater Crocodile can move fast. His longer legs make possible for him to jump like frog and gallop about 200 meters. A Slender-snouted Crocodile suddenly stopped eating. 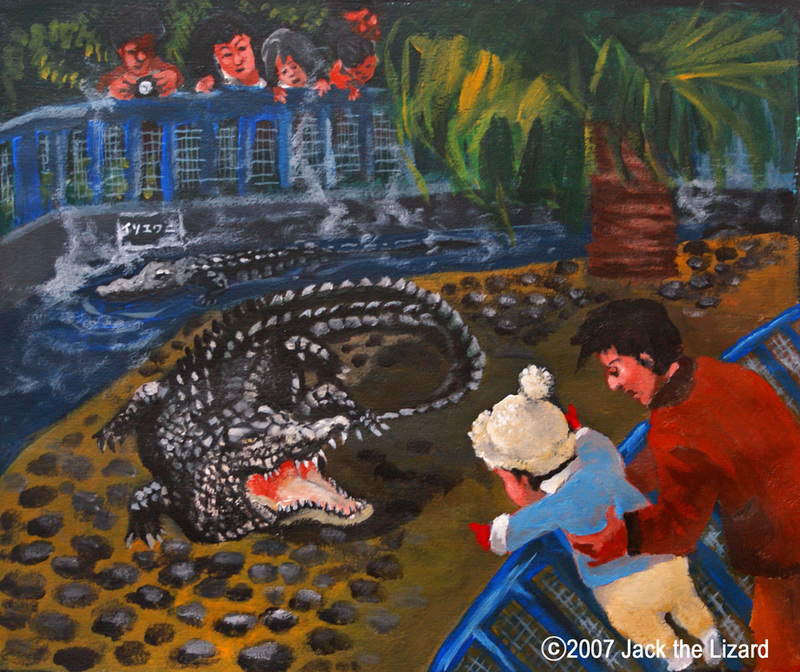 His zookeeper made a lot of effort to get him to eat, but the croc seemed not interested. Since the day, he had not eaten anything for days, weeks, and months. So the zookeepers thought the crock might be dying. One day, all of the sudden, the crocodile devoured a chicken. It had been 8 months since the croc stopped eating. Crocodile can keep food between its throat and stomach. But how could the food stock be enough for 8 months? How efficient his body is! The Saltwater Crocodile and the Nile Crocodile are known as man-eaters. 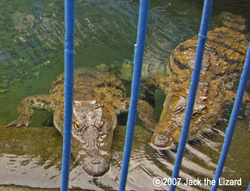 This is the Saltwater Crocodile. Crocodile cannot maintain the body temperature steady. So he needs to stay in the water to warm up, and come out from the hot spring bath and open his mouth to cool down. Don't worry, he isn't trying to eat you. But better to stay away. 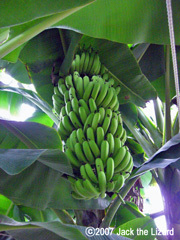 Even though their hide is thick and strong, it fells the temperature and humidity very sensitively. Amazingly it can fell the unsteady electromagnetic wave and predict an earthquake. 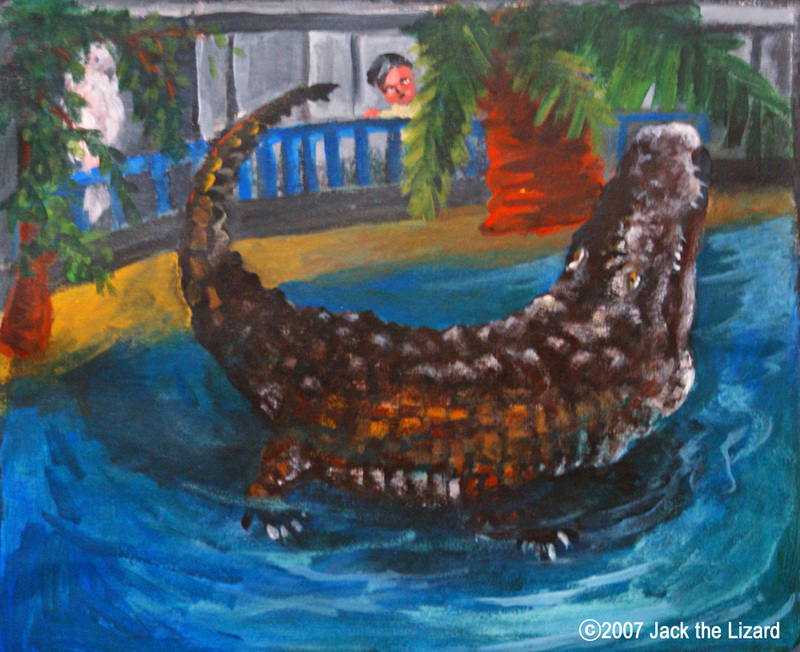 Brace for an earthquake if you see crocodiles are lifting their heads and tails, and making noise like Harry Davidson. The friendly Moluccan Cockatoo says "Good Morning!" to you from the cage behind. Warm here all the time. Because the water, air and soil is heated up all the time by the hot spring, the Aldabra Giant Tortoises can have a comfy life. They are from Seychelles, Africa. He loves lettuce. 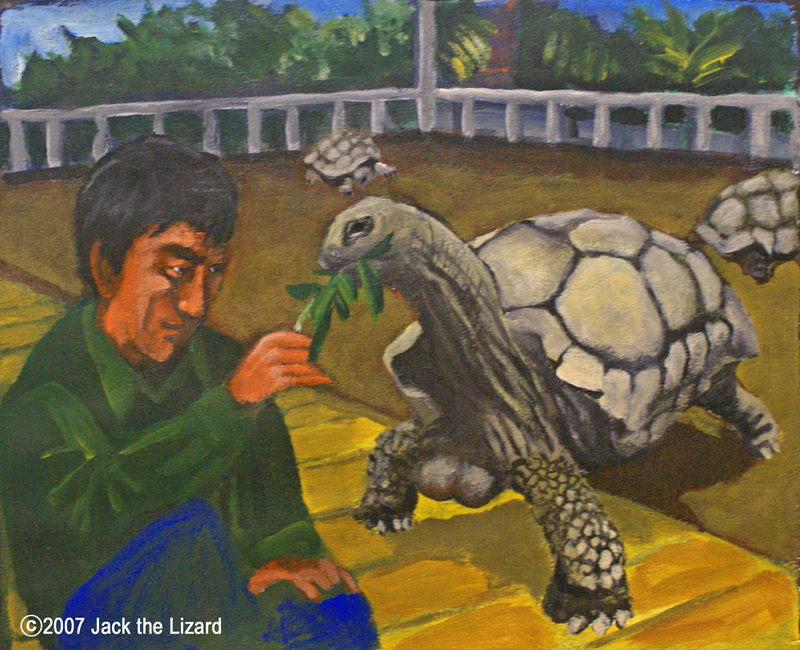 Since the Aldabra Giant Tortoise has a long life span. Even though he is 100 years old but still young. Mr. Hiroyuki Kida, the chief of Publicity Dept., took me to the tour in the garden today. He knows a lot about crocodile and tropical plants. If you have any question, ask him! The Amazon Manatee, aged 43, prefers carrots than lettuce. "He is very healthy. He is calm, so I feel calm too when I take care of him", says his zookeeper Ms. Miho Nakayama. She is the super mom. 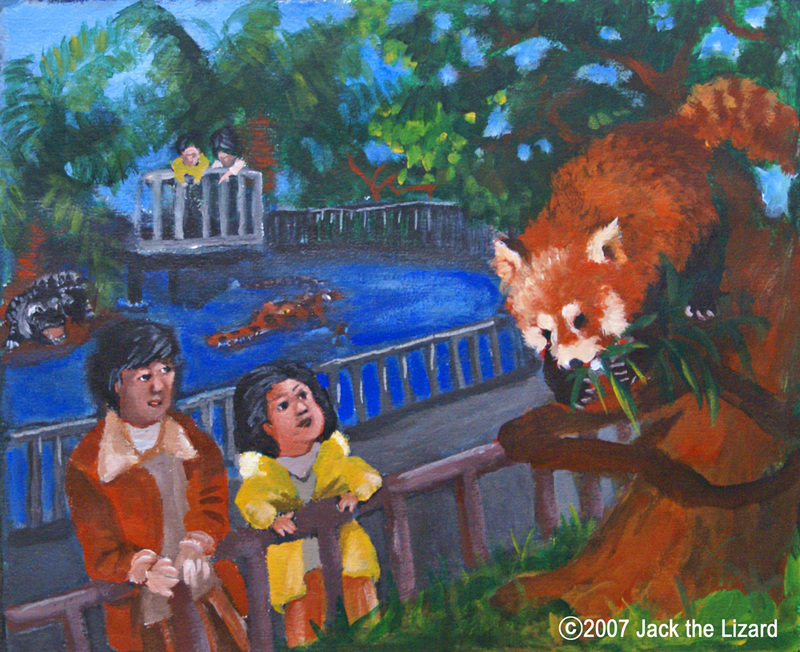 Atagawa Tropical & Alligator Garden is only the breeder of the Western Red Panda in Japan. The local area has a lot of bamboo, which has soft leaves. The garden welcomed a pair in 1985. Since then, their family has grown, and had more than 50 babies. Now 35 of those are accommodated here. The mother panda dotes on her cubs. She teaches how to climb trees, find foods, join the community, get independent, and so on. She is a great mother. The Western Red Panda has a relatively long lifespan of 10 to 15 years compared to the other same size mammals. I met so many different kinds of crocodiles today. Some look like the Chihuahua, and another look like Godzilla. Some are huge, and some are small. Some move fast, and some stay still like a rock. To get to know more of them, they look more interesting. To Mr. Kida and all of the staffs of Atagawa Tropical & Alligator Garden, thank you very much for the great opportunity to learn about crocks.